This article on ditching your boring white skincare was first published in the HuffPost by Formula Botanica’s Director Lorraine Dallmeier. We’ve republished it here for you. Virtually all of the mainstream creams and lotions you can buy are white in colour. The shelves of your local shops are packed full of white skincare. 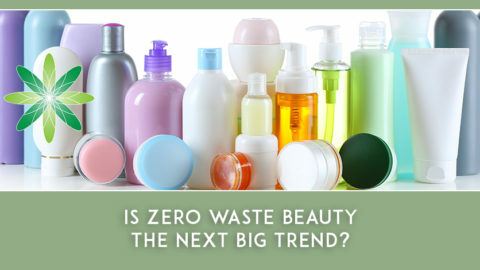 Let’s face it – most people would be stunned if the creams they’d been purchasing for years suddenly turned green, pink or yellow. The only way lotions and creams achieve the bland whiteness to which we are accustomed is by making sure that your skincare formulations mainly contain water, translucent ingredients or ingredients that have been stripped of their native colour. You might think that your face cream is a luxuriously nourishing treatment for your skin, but you’ve actually just paid £50 for a jar of ingredients that have had much of their goodness removed. Many botanical oils are refined, deodorised and bleached by the mainstream cosmetic industry in order to make sure that your cream looks as white as snow. This process removes some of the most interesting chemical compounds for our skin – the same compounds that provide the natural colour to many plants: carotenoids, xanthophylls and anthocyanins. After stripping out most of the native colour from botanical ingredients, the beauty industry then uses colourants in teeny tiny quantities to colour your finished formulation. These colourants are often artificial and feature on your ingredient list as “CI” (Colour Index) numbers. And if all of this didn’t seem crazy enough, consider that it is illegal in some countries to colour your skincare formulations using “non-colour” additives. Certain cosmetics laws such as those in the EU and the USA require you to use only accepted colourants from long lists contained with the regulations – many of which will be synthetic ingredients. 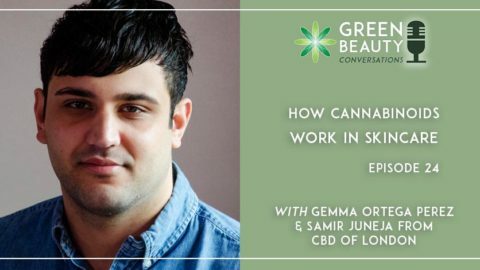 In other words, if you add a colourful botanical ingredient to your formulation with the sole purpose of adding colour, you could actually be breaking the law in some parts of the world. The global beauty industry has been shaping consumer expectations for years by conditioning us to choose skincare that contains no colour whatsoever. Shoppers have been led to believe that white creams and lotions are pure and good for their skin. Instead, I want to encourage you to ditch your boring white skincare and embrace native botanical colours in your beauty products. 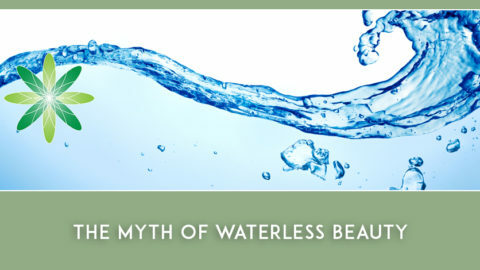 Natural colourants are found in a multitude of cosmetic ingredients and may have beneficial properties for your skin. The blue of chamomile essential oil comes from chamazulene, a potent anti-inflammatory compound. The orange-red lycopene of rosehips can counter premature skin ageing. The yellow-orange beta-carotene of sea buckthorn berries is rich in antioxidants. I love colourful botanical oils and find them the most satisfying ingredients in natural skincare. The golden hues, the dark ambers, the bright reds, the dark greens, the light shimmery yellows – the lipids produced by Mother Nature are staggeringly beautiful. So forgive me if I’m slightly biased, but I get excited when I see a colourful organic skincare formulation. I know that my jar of colourful botanical cream is packed full of nature’s goodies, squeezed straight out of the plant. To me, the natural and inherent colour of a skincare formulation is proof of its authenticity. It turns out I’m not the only one who feels this way. 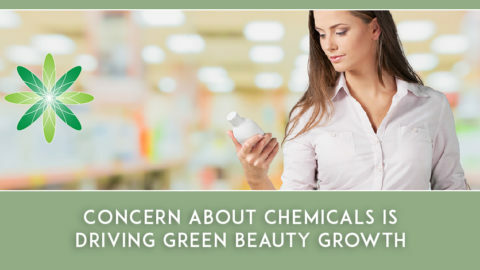 The green, clean and organic beauty sector is growing quickly and is filled with formulators who love creating formulations of every colour. 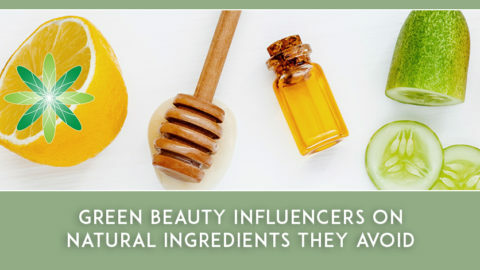 The green beauty movement embraces the native potency of plants for their beneficial properties, rather than reducing them to bland soulless ingredients. I want to encourage you to look for formulations that bring together the concepts of plant power and wellbeing, combining botanical extracts and green chemistry to create skincare that makes us feel happy and healthy. Next time you are shopping for a moisturiser or serum, consider whether you might be able to buy from a natural indie brand instead. 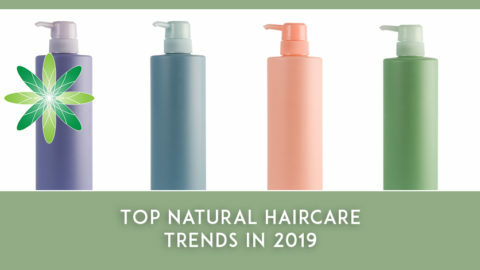 Look for a brand that doesn’t try to minimise or strip back the botanical extracts in its formulations, but instead aims to nurture your skin and hair. I encourage you to join me in embracing the cosmetic rainbow. 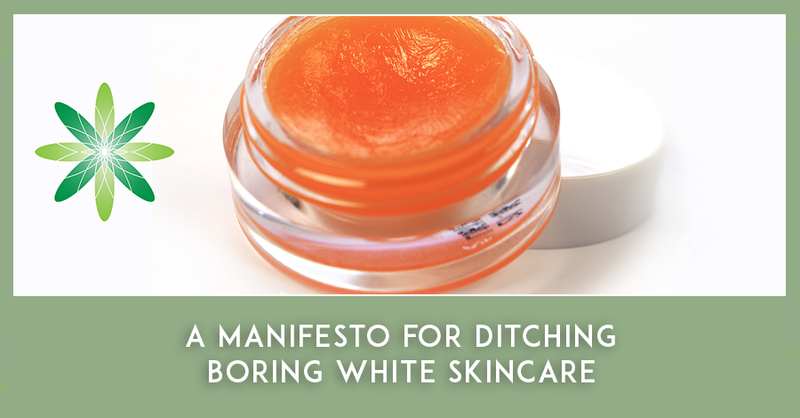 This article first appeared written by Formula Botanica’s Director Lorraine Dallmeier on HuffPost on November 16, 2017 as “A Manifesto for Ditching Boring White Skincare“. Follow Lorraine on Twitter or Instagram. 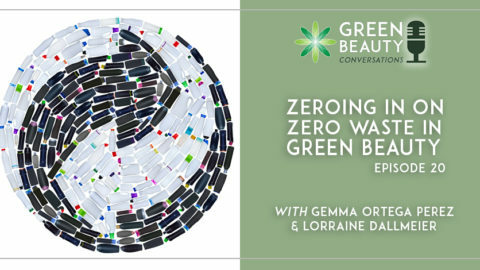 Is Zero Waste Beauty The Next Big Trend?